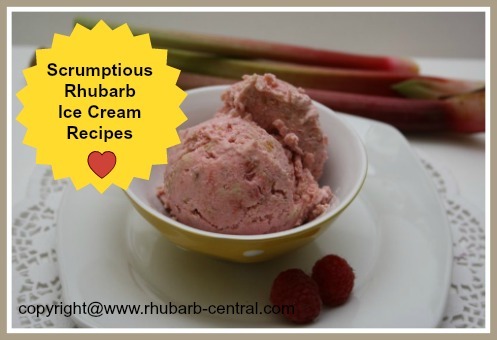 These Rhubarb Ice Cream Recipes make scrumptious homemade rhubarb frozen desserts that everyone will love! Rhubarb Ice Cream ... yummy ... regardless of the season, the outside temperature, or the occasion, there is always a place and time in our lives for this frosty treat! Even if you don't own an ice cream maker, you can still make homemade ice-cream. Follow the link provided (scroll down) further down the page and make this delectable treat without a special machine. Regardless of how tasty store purchased ice cream may be, it just does not, and cannot, compare to home-made - real ice cream! 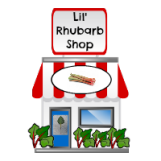 Be sure to check out the Low-Fat Rhubarb Yogurt Recipe (below) too! Everyone loves to make, and to eat, personal, edible creations ... of all kind ...it's part of human nature. Mouth watering, home-made ice cream will certainly satisfy any ice cream lovers taste buds! Home-made creations are often viewed as being a much too complicated process to even contemplate the idea. I believe however, that it is not really as difficult and time consuming as it may sound! Anyone can make this frozen treat! If you have never made homemade ice cream, why not try it for the first time, with these recipes? Don't have an Ice Cream Machine? If you are interested in purchasing an ice cream maker, here (below) are several models that may be of interest to you, available for online purchase at *Amazon.com. 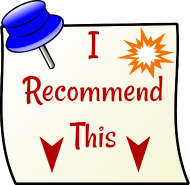 Click on the images for additional product information and customer reviews. The second Ice Cream Maker below is the model that I have ... and I LOVE it! 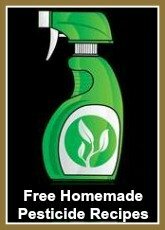 ... a Cuisinart Product! Here (below) are additional resources that can be purchased through *Amazon.com, for all your ice-cream making endeavours. Note - the ice cream making book above (left in desktop) is especially for Vegan Diets.